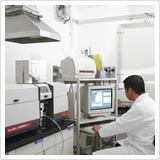 Since 1976, the Yakult Chemical Analysis Center has been conducting contract analyses and tests commissioned by government offices, corporations, and consumers. 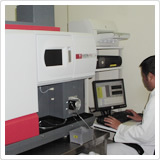 As an analysis and test organization approved by the national and municipal governments, the center performs analyses (such as environmental analysis, food product analysis, and special analysis) and technological development to evaluate the environment, including the development of reagents for microbial identification using antibodies (ISO 14001 certified facility). In addition, the center has been promoting the Yakult A&G Water Purification System using Yakult containers to contribute to environmental improvement. 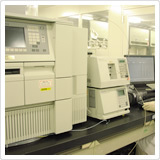 Along with performing the isolation and identification of environmental microbes and developing quantitative technology, we also develop products that are useful in environmental conservation. 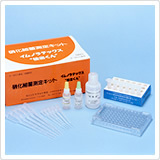 These products include “KENSHUTUKUN” and “SPIRAKUN” - kits for the rapid determination of nitrifying bacteria, which have been put into practical use through collaborative research with public institutions. 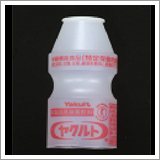 Yakult containers are utilized in our factories and local wastewater treatment facilities or contaminated rivers and ponds because their special shape and quality of material produces good results in helping in the decontamination of industrial drainage and domestic wastewater. Yakult containers with their bottoms removed are used as filtering media. Water in rivers and lakes has the capacity to purify itself. 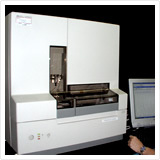 Microorganisms in the water take part in this action. These microorganisms purify water by ingesting and decomposing as nutrients the causative substances contaminating the water. 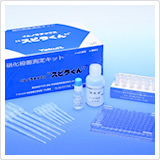 Important points in bio-treatment of contaminated water are as follows: to propagate microorganisms and then to keep the propagated microorganism healthy (activation). 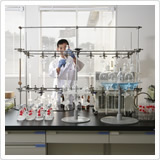 In the Yakult A&G Water Purification System, Yakult containers are effective for decontamination because of their excellent shape and quality of material, and thus are adopted as filtering media. 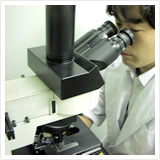 In addition, our original infill technique improves trapping performance and the retention capacity for microorganisms. This system has achieved excellent results in the purification of industrial drainage, rivers, ponds, and seawater, as well as domestic wastewater.